On the 23 October 2017, the European Committee of Social Rights handed down its decision in International Federation for Human Rights (FIDH) v. Ireland Complaint No. 110/2014. The decision is available here. On the main ground, the Committee found that Irish housing law violates the right of families to adequate housing under Article 16 of the Revised European Social Charter. The declaration is notable in several respects and is significant, both nationally and internationally. This blog post will engage with some of the issues raised by the complaint however it will also offer some insight into the way this complaint came about and how back in 2012, as a recent graduate, I came to be involved in the complaint. The collective complaint system relates to the Revised European Social Charter, which was established in 1961, and revised in 1996, by the Council of Europe to support the (more famous) European Convention of Human Rights (ECHR). Broadly speaking, while the ECHR enshrines civil and political rights, the European Social Charter enumerates social and economic rights. The logic behind the Social Charter can be explained by borrowing a line from Franklin Delano Roosevelt. In 1944, Roosevelt outlined, in relation to the proposed second Bill of Rights which sought to enumerate economic and social rights in the United States, that “individual freedom cannot exist without economic security and independence”. The European Social Charter sets out human rights to education, health, housing, etc. While 43 out of the 47-member States of the Council of Europe are parties to either the Charter or the Revised Charter, it has not been incorporated into domestic law in the way that the ECHR has been. The rights are not directly justiciable, however the considerable jurisprudence of the Social Charter is nonetheless of growing influence in informing the development of European human rights norms. By international standards, the rights enumerated by the European Social Charter are remarkably sophisticated. Much of this can be attributed to the system of enforcement which through a system of national reports by ratifying states and, in particular, a novel collective complaint system, generates a growing corpus of human rights standards. Certain national and international bodies including national tenants/landlord’s associations, international human rights agencies, etc. have locus standi to bring a collective complaint alleging that some aspect of national law violates the human rights of a collection of individuals in that country. Once a complaint is submitted, it must be deemed admissible (a relatively straightforward threshold) and then it proceeds to the European Committee of Social Rights which, after a hearing, makes a decision on the merits of the case. There is no national tenant’s association in the Republic of Ireland, instead this complaint was brought via the FIDH (International Federation for Human Rights). The moving force behind the whole effort was a group of local authority tenants who were concerned at the conditions of local authority housing and the lack of effective legal remedies governing housing condition and repair. The complaint was organised by Community Action Network (CAN) with the support of Ballymun Community Law Centre, and The Centre for Housing Law, Rights and Policy at NUI Galway. The complaint was funded by the Free Legal Aid Clinic and the Irish Human Rights & Equality Commission. My involvement stems from my work with Dr Padraic Kenna at The Centre for Housing Law, Rights and Policy. I had graduated from the LLB programme at NUI Galway in the summer of 2011 and had taken Dr Kenna’s Housing Law, Rights and Policy module in my final year. This module combined cutting edge research led teaching with a real practical edge and really spurred my academic interest in this area of the law. 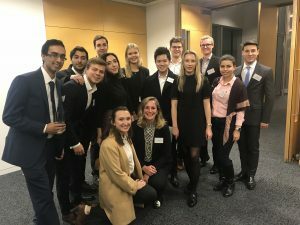 This experience was exceptionally useful in putting together a successful application when a graduate position opened up on a housing law and policy human rights project in 2012. I was responsible for working with colleagues in Dublin and Galway to identify areas of Irish housing law which were potentially in violation of the Charter and to collect and organise materials which would support the development of a collective complaint. The main issues including the poor housing conditions of local authority housing and in particular the tenant’s lack of effective rights in relation to housing condition, repair, security, dispute resolution etc. Part of the difficulty for tenants in bringing the complaint was the lack of meaningful statistics. The last state survey of local authority housing condition was in 2002. The complaint was only made possible by tenants systematically collecting and cataloguing evidence of poor housing for years. This was a huge effort but was vital to the ultimate success of the complaint on the main ground. The achievement of CAN is even more remarkable given that there is no state support of tenants’ associations in Ireland, unlike most of the countries of the EU where national tenants’ associations play a vital role in developing renting law & policy e.g. Sweden, Italy, etc. At the end, I had helped put together a skeleton draft which focused on a wide range of areas including local authority housing, as well as homeless legislation, and the housing law governing traveller accommodation. This was the end of my involvement at this stage and I then took up a Tenlaw research fellowship at the University of Southampton. However, I became involved once again in 2016, after the complaint had been deemed admissible and the state had responded by making a submission on its merits. Together with Dr Padraic Kenna, I helped draft the response to the State’s arguments. In 2017 the Committee issued a decision finding that Irish housing law violates the right of families to adequate housing under Article 16 of the European Social Charter. While the Committee found a violation on the main ground i.e. inadequate housing conditions, the decision was disappointing in some respects, most notably in relation to the lack of effective legal remedies available to tenants. The difficulties facing local authority tenants are acute. For local authority tenants, their landlord is also the regulator of housing standards. Because the local authority is legally incapable of serving enforcement notices on itself, it is effectively impossible for local authority tenants to seek enforcement of the statutory housing quality standards. This puts local authority tenants at a remarkable disadvantage relative to private tenants who not only can seek enforcement of these standards by the local authority, they also have access to the low cost and relatively quick dispute resolution framework of the residential tenancies board. Because local authority tenants are in theory able to take their landlord to court over poor housing conditions, the Committee were prepared to reject the argument that local authority tenants were denied effective remedies. However, given the high costs involved in pursuing legal action and the general lack of legal aid available to tenants, this reasoning is somewhat unreal and the highly disappointing. Following the decision, the State must submit a report outlining what actions have been taken to address the violations identified in this complaint. Throughout my time working on the complaint, I had the opportunity to meet with local authority tenants and listen to their views and contributions. This was remarkably insightful, and the contributions of tenants played a major role in directing the arguments made and also supporting those arguments. One of the recurring themes of the meetings I attended, was the sense of how disempowered local authority tenants were made to feel by Irish housing law in various respects. While the collective complaint system is imperfect, it can provide a valuable means for drawing attention to, and forcing recognition, of the real difficulties experienced by many households. The European Social Charter provides an exceptionally useful framework for evaluating national legal standards and seeking to develop best practice. Looking back on my experience working on the project, I feel incredible fortunate to have worked with such an exceptional team of tenants, community organisers, housing professionals and academics. 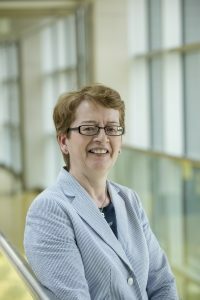 My advice to recent graduates, or those interested in working in this field, is to get involved in these types of co-operative projects wherever possible. While not essential, it can be extremely helpful to have studied modules in the field of housing law, renting law, human rights etc. Exploring the modules options available and making contact with academics involved in those modules can be exceptionally helpful in identifying research opportunities which are off the beaten track. The author: Mark Jordan is a lecturer in Land Law at the University of Southampton. For more information see here. A few months after Advocate General (AG) Szpunar released his Opinion in VCAST, C-265/16 [here], the Court of Justice of the European Union (CJEU) has now released its decision in this case. This was a reference from Italy (Turin Court of First Instance) that one would have thought [as the questions were indeed about it!] to concern the understanding and application of the private copying exception within Article 5(2)(b) of the InfoSoc Directive to cloud-based video-recording services. Well, although the AG Opinion is indeed about this, the CJEU judgment is not. The Court, in fact, made the case about the right of communication/making available to the public within Article 3 of the InfoSoc Directive. Let’s start then and see why VCAST is not really – or at least is no longer – a case about the private copying exception. The facts of the case are rather simple: basically, the Italian litigation revolves around the lawfulness of a cloud-based recording service, provided by VCAST, that allows its customers to make copies of terrestrial TV programmes broadcasts including, among other things, those of RTI. Importantly, the possibility to make such recording is granted irrespective of whether customers can lawfully access the programmes terrestrially, ie offline. A clear instance is, as well explained by the AG in his Opinion, that for RTI programmes it is generally required that the user happens to be on the Italian territory. Under Italian law it would appear that VCAST activity might be lawful, although the CJEU did not consider this a given. Nonetheless, the Court deemed it helpful to base its analysis on the assumption that Italian private copying exception applies to VCAST’s activities. The question became therefore whether a national law of this kind is compliant with what Article 5(2)(b) of the InfoSoc Directive (read in combination with the three-step test in Article 5(5) therein) provides. Private copying … but is VCAST’s service only about the making of copies? After recalling that exceptions should be interpreted strictly, the Court confirmed the finding of the AG – which follows from the seminal Padawan decision – that for the private copying exception to apply it is not required that the beneficiary is the one who directly makes the copy of the copyright work at issue. However – and this is the interesting part of the Court’s analysis – VCAST’s activity is not about reproductions or, at least, is not just about reproductions. Hence, the discussion around the private copying exception is not the whole story. More fundamentally, in fact, VCAST does not only organize the recording of TV programmes for its customers but, instead, makes them available to them in the first place. It follows that VCAST’s activity cannot be assessed exclusively under the binary distinction reproduction/private copying. It is also necessary to take into account the making available part and, with it, Article 3 of the InfoSoc Directive. 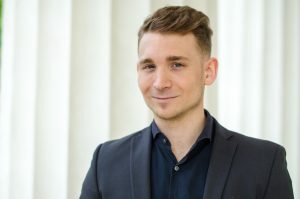 “[A]lthough the private copy exception means that the rightholder must abstain from exercising his exclusive right to authorise or prohibit private copies made by natural persons under the conditions provided for in Article 5(2)(b) of Directive 2001/29, the requirement for a strict interpretation of that exception implies that that rightholder is not deprived of his right to prohibit or authorise access to the works or the subject matter of which those same natural persons wish to make private copies. The Court thus moved on to recall the requirements for an act of communication (or, rather, making available in this case) to the public [the judgment refers extensively to Reha Training, which – despite being a Grand Chamber ruling – has been quite neglected in decisions like GS Media, Filmspeler and Ziggo]. 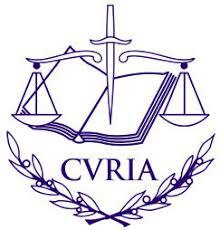 Interestingly, the CJEU stated that to have an ‘act of communication’ a transmission of a copyright work is required. The Court noted that there would be a transmission made by the broadcasting organisation, on the one hand, and a transmission made by VCAST, on the other hand. Both are done using a different means of transmission for the protected works, and are intended for different publics. “without the rightholder’s consent, the making of copies of works by means of a service such as that at issue in the main proceedings could undermine the rights of that rightholder. This means that VCAST’s service cannot be provided without the prior authorization of the relevant rightholders, in that its activity also amounts to communication/making available to the public within Article 3 of the InfoSoc Directive. The outcome of the VCAST case is not surprising, nor is the fact that the CJEU answered the questions referred by the national judge rephrasing them and considering issues other than those raised. More generally, the decision highlights once again the absolute centrality of the right of communication/making available to the public, especially in the online environment. While cloud-based video recording services per se are not to be regarded as unlawful, certainly the CJEU decision sets precise boundaries for designing a service that would be compatible with EU law. The first condition, stressed in particular by the AG, is that users of a cloud-based recording service must have lawful access to the terrestrial programmes that they wish to record in the first place. The second condition is that the provider of a video-recording service cannot elude the authorization of the relevant rightholders when what it wishes to provide is a service that allows the recording of content by making it available for recording in the first place. But is this a probatio diabolica? Possibly. If so, then cloud-based video recording services would likely need to be licensed to operate under EU copyright law without the risk of infringing third-party rights. 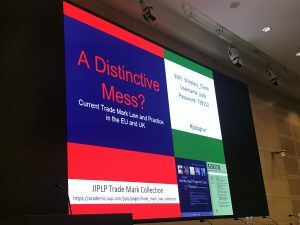 The author: Dr Eleonora Rosati is an Associate Professor in Intellectual Property Law. Find out more here. Earlier this week the Florence Court of Fir st Instance (Tribunale di Firenze) issued an important and interesting decision [not yet available], which has been widely reported by newspapers in Italy [eg here, here, here, here] and abroad [eg here]. The Avvocatura dello Stato, this being the body responsible for advising and representing the Italian state (including in legal proceedings), sued a company, Visit Today, before the Florence Court of First Instance, seeking to obtain a decision that would prohibit this from selling unofficial tickets for the Galleria dell’Accademia in Florence, also using brochures and materials depicting what is probably the most famous guest of this beautiful museum: Michelangelo’s David. 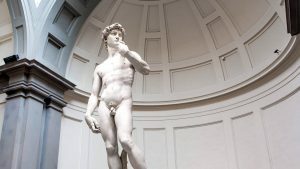 The Florence court sided with Avvocatura dello Stato, and prohibited Visit Today from using the David’s image for commercial purposes. I have received several messages asking what the possible grounds for a decision of this kind would be, since copyright protection in this artwork has clearly lapsed … well, at least economic rights. It is in fact worth recalling that in Italy moral rights protection is perpetual and also the State [or rather, the Head of Italian Government: see Article 23 of the Copyright Act] can enforce an author’s own moral rights. Similarly to other droit d’auteur jurisdictions, Italian courts have interpreted moral rights provisions generously, with the result that the scope of the right of integrity is rather broad. This said, the main ground for the decision appears to have been [as I mentioned, the decision has not been published yet] the Italian Cultural Heritage Code, also known as Codice Urbani [see here for a recent discussion of Italian freedom of panorama and its relationship with the Code; see also here for an analysis of the decision]. Article 106 of the Code sets the general principle that for cultural heritage items subject to their own control, the State, the various Italian regions and local public bodies may allow individual applicants to use such items for purposes compatible with their own cultural value. This means that for-profit uses of cultural heritage under the responsibility of Italian public administration are not generally free: instead, they are subject to preventive authorization. Articles 107 and 108 of the Code provide that the competent public administration may allow third-party uses of an item – including an artwork – belonging to Italian cultural heritage, subject to the payment of royalties to be determined on the basis of – among other things – the type of use requested and the possible economic gain that the user would obtain from the use of the item. This said, authorization is not required in each and every case. Article 108(3-bis) clarifies in fact that non-profit uses of cultural heritage items for purposes of study, research, freedom of expression or creative expression, and promotion of the knowledge of culturalheritage do not require authorization. The Florence court’s decision, therefore, is not surprising. It is not the first time, in fact, that improper and unauthorized commercial use of Italian cultural heritage has been at the centre of litigation or … threats of litigation. With specific regard to Michelangelo’s David, readers will for instance remember the rather recent case of the ‘armed David’ [here]. Similarly, lawyers who advise clients in the advertising business regularly remind them that the Cultural Heritage Code may prevent them from using works that, otherwise, would be in the public domain from a copyright standpoint. When visiting Italian cities like Florence, Rome, and Venice it is very frequent to see long queues outside museums and monuments. Invariably frequent is also the sight of vendors (known as ‘bagarini‘) offering tickets – at prices higher than the official ones – to people standing in the queue, alleging great bargains and promising to let them skip the queue (admittedly a rather attractive perspective when you are queuing under the sun and facing a temperature of 38°C). However, visitors are also often victims of scams. The reason why the Avvocatura dello Stato brought the present proceedings was indeed also to set a ‘precedent’ and reduce, and possibly eliminate, the problem of bagarini. Commenting on the Florence decision, Italian Minister of Culture stated that the decision is a good step in the direction of repressing the unauthorized sale – including over the internet – of tickets for Italian cultural heritage sites and the improper use of cultural heritage items. Headded that this decision “is an important step forward for the protection of consumers and the protection of masterpieces held in Italian museums.” The Cultural Heritage Ministry – he added – will continue to monitor improper uses and take action in all cases that infringe relevant provisions in the Cultural Heritage Code. Although the decision is of course limited to the defendant’s activities, according to the director of Galleria dell’Accademia, Cecilie Hollberg, the outcome will serve as a model for all the museums that face the problem of unofficial ticket vendors who sell tickets at a higher price, thus scamming wannabe visitors.